HISTORY: Pete Buttigieg Qualifies For First Dem Debate - Joe.My.God. 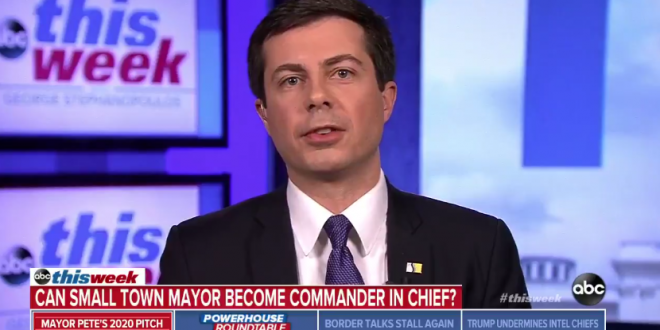 South Bend mayor and presidential hopeful Pete Buttigieg said on Twitter Saturday morning that 65,000 people have donated to his exploratory committee, a mark that qualifies him to be invited to the first Democratic National Committee debate in June. The 37-year-old Rhodes Scholar and military veteran promised a “fresh start” for the White House, and he has said it’s time to look to the future and move away from the politics of the past.